It soft launched about a month later, and like most soft launches, a thread got posted on our forums and TouchArcade community members started playing it. 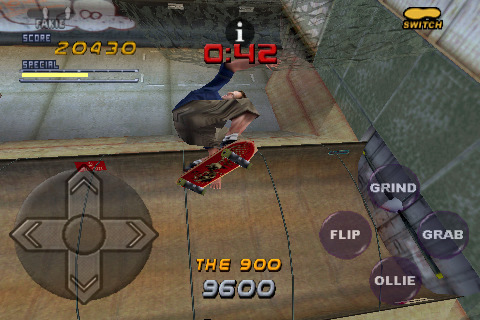 Also, like most soft launches, at this time Tony Hawk’s Shred Session was a remarkably complete feeling game. Its monetization was a little wonky, but, tuning that is the entire point of a soft launch. Activision went oddly dark on the game, it was released in a few more territories, then was pulled from the App Store entirely last month. @tonyhawk Hey dude, whatever happened to Shred Session for iOS? I noticed the soft launch was removed from the App Store around a month ago. I’ve pinged some people with Activision for further details now that the cat is out of the bag, and here’s the deal- Tony Hawk’s Shred Session is postponed indefinitely. There’s no plans to release it soon, but it’s entirely possible that it could be released sometime. As far as when that “sometime" is, no one is saying. The (potentially) better news is that next year we’ll be seeing a brand new console and mobile game. Of course, no details on what these games will be all about, but we can do some tea leaf reading on what’s happened so far. In 2010, Tony Hawk Pro Skater 2 hit the App Store. We loved it in our review, and gamers loved it. It sold incredibly well, and seemed like it stayed on the top charts until iOS updates broke the game. Four years later they tried to release a behind the back Temple Run-ish free to play game, and based on whatever metrics Activision uses they decided it must not have been performing well enough to release. It doesn’t take a lot of game development theorycrafting to assume that perhaps the lesson learned from this is to make Tony Hawk games… Actual Tony Hawk games. So, if the result of all this is a THPS-like game on iOS that closer resembles Pro Skater 2 than Temple Run I think this whole fiasco will have been very much worth it, even if it involves five years of waiting after the release of THPS2 on the App Store. Also, a new Tony Hawk console game? Sign me the hell up. I know the series has had its detractors, particularly as the games have gotten wackier in the Underground series and with the release of crazy accessories… But I’ve loved every single one of them, and will totally buy anything with “Tony Hawk" on the box next year, for console and iOS.